In 2009, when my friend Vincent’s Blogger or Blogspot blog was deleted by Google, I fought on his behalf to get it back. Six months on the Google support forums, nothing. One day, a friend on Twitter told me that with Google’s deletion of John Hempton’s blog, as publicized by Reuter journalist Felix Salmon, Blogger product manager Rick Klau had intervened, and had it reinstated. Maybe I should approach Rick, who had a stellar reputation was being one of the good guys inside Google. I did, and within a day, he had sorted everything out. Six months using the official channels, one day getting the boss involved. Admittedly, I began getting suspicious of Google’s Blogger service, even though my own blogs never fell foul of the Googlebot. Google then announced that it would end FTP support of blogs anyway, so I decided it was time to pack up and leave. 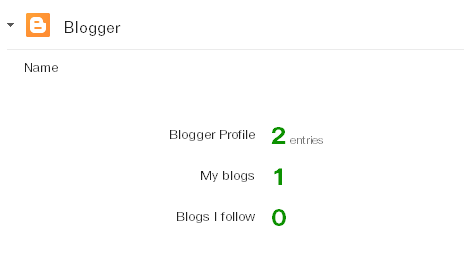 One by one, I deleted my blogs from Blogger, and I watched the number drop slowly inside Google Dashboard. Google Dashboard always lagged a bit, but between the start of 2010 and today there was a problem: all my Blogger blogs had been deleted, but Dashboard continue to record 1. And so began another saga with Google. Again I used the official channels—the support forums—and got no response. Rick had left Blogger—he would up being YouTube’s product manager for a while—so I contacted his successor, Chang Kim. Chang passed it on to Brett, one of Blogger’s staff. Brett told me the name of the blog I supposedly still had. The weirdest things are these: I’ve never heard of this blog, so it’s definitely not mine; but, I do know the gentleman in Canada who owns it, and he tells me that I have never had any connection to it, nor has he ever added me as an author. I responded to Brett at the time and told him this, but the conversation was dropped. I never knew if Brett was on the level. What if Google had not properly deleted all my data as I had asked it to? What if the 1 reflected that? Or if it was a bug, then really Google needs to fix it, so being a good netizen, I really should point out this discrepancy. I started a new thread this year on the Google support forums, and it was answered by our old friend Chuck—the chap who fenced with me at the end of 2009 asking irrelevant questions and ignoring specific answers. He asked yet another irrelevant question, I gave him a specific answer, but this time, he just dropped it (a typical experience, I might add, for anything that falls outside routine matters on the Google support forums). I suppose that’s better than fencing and keeping me on there for another half-year. So, would Google ever sort this out? One evening, I decided I would turn to the one person inside the company who showed some responsibility for his company’s actions: Rick Klau. Rick’s with Google Ventures now so he had no real reason to get involved in an enquiry concerning a branch of a company he left three years ago. But in classic Rick fashion, he stepped up. And while it wasn’t 24 hours, it was a single weekday. Rick asked me one question the day after my enquiry, I answered it, and a weekday later, he had sorted it: my Google Dashboard says I have no blogs with them. Three (nearly four) years using the official channels, one day getting the (former) boss involved. Google might do some questionable things, but it has at least one good bloke working for it. If only everyone was as professional as Rick Klau.